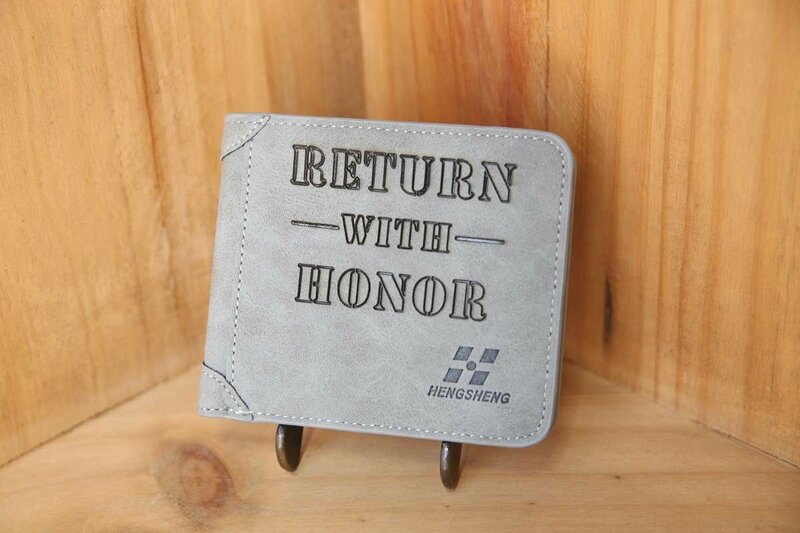 Looking for the perfect wallet that reflects who you are. 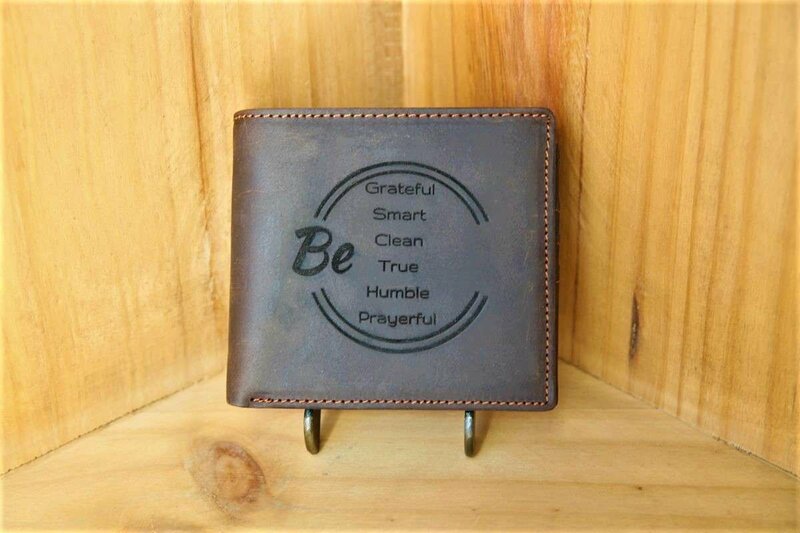 Get a wallet with an engraved LDS message that is personalized to you. 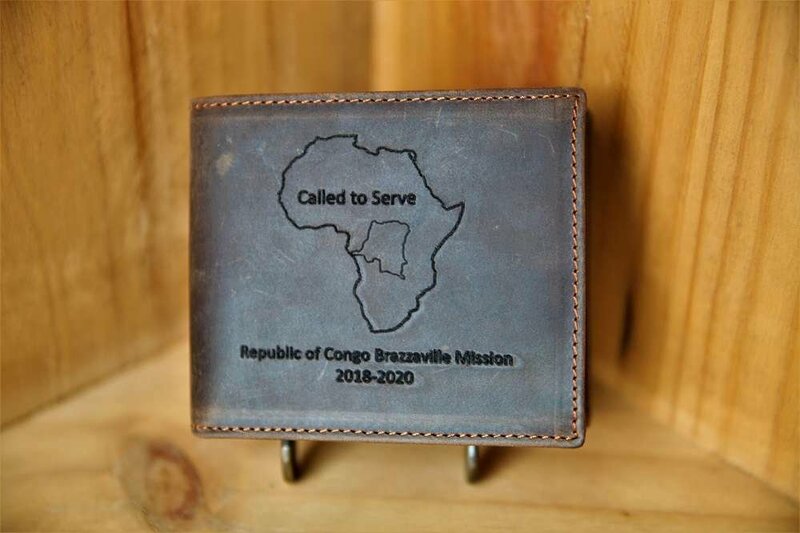 Enter the name of the missionary and/or mission area they are serving in in the text box. Enter the name of the temple and any text you want in the text box. 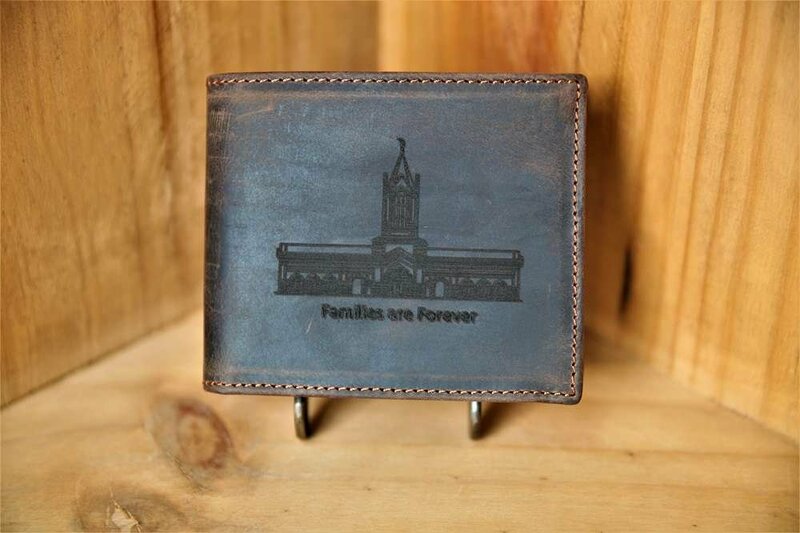 The wallets are laser engraved so that they will last a long as the wallet (i.e. forever). 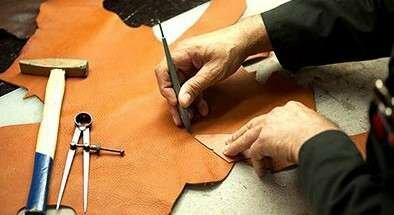 Each wallet is handmade with genuine leather. 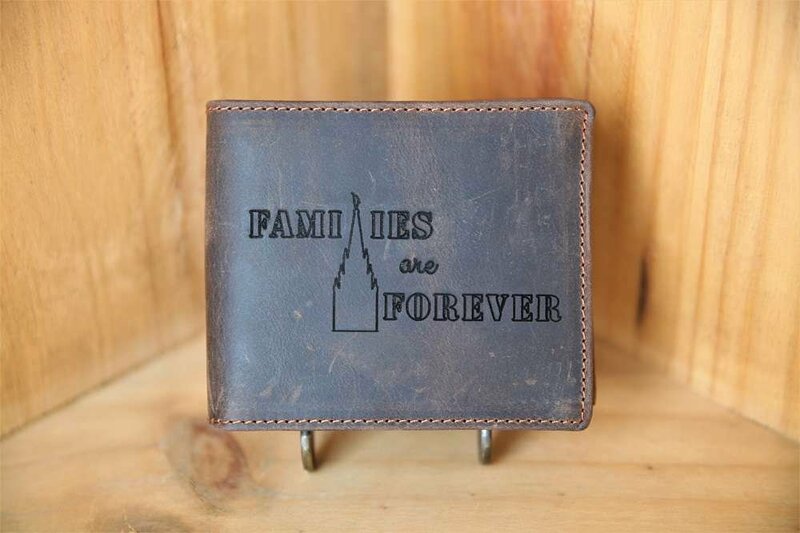 The wallet is made of the highest quality leather to last as long as the Oil Vaults do (years!). Each wallet is with suede material. 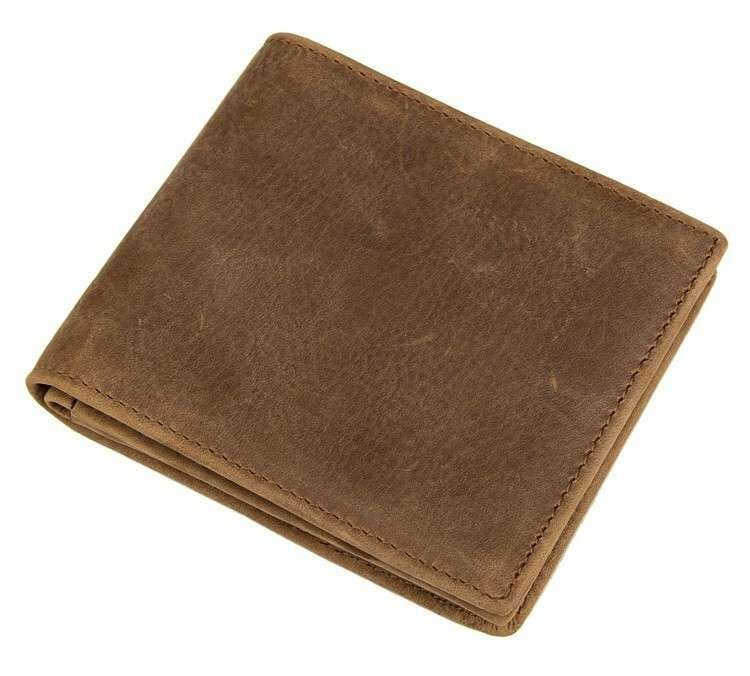 The wallet is made of high quality suede material. 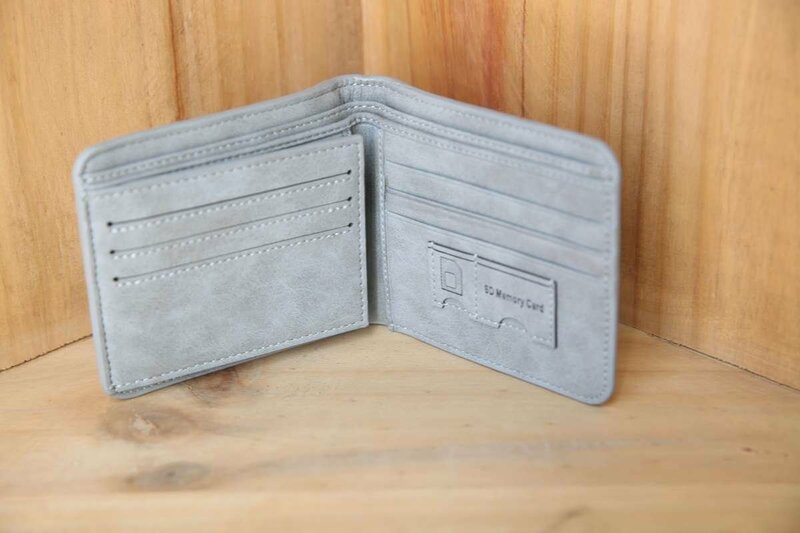 The Suede wallets have several slots for credit cards and Oil Vaults. They also have sleeves for money. 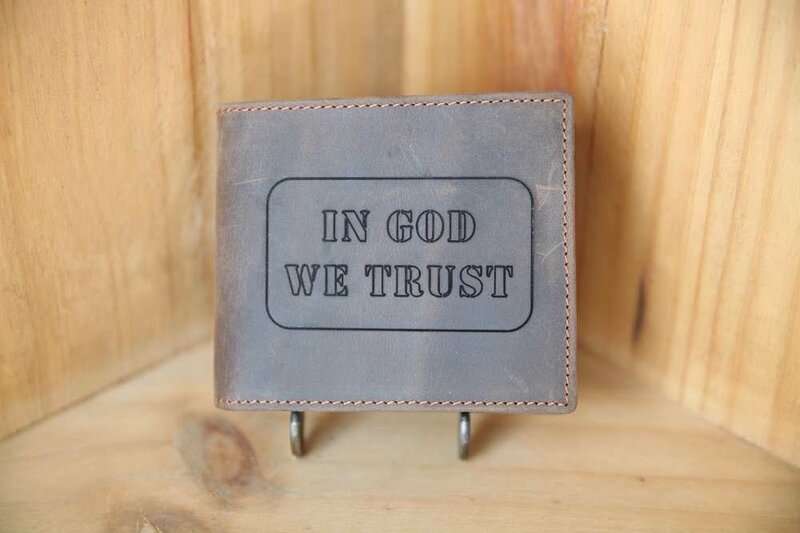 The Money clip wallets is made from high quality imitation leather. 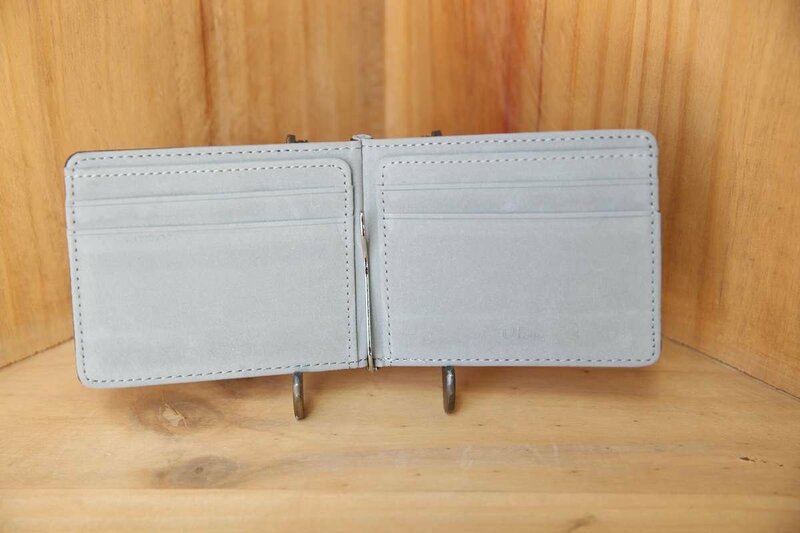 The Money clip wallets includes a clip in the center to hold your money and slots for credit cards and Oil Vaults. An Oil Vial that goes where you go! Oil Vaults go in your wallet, backpack, and 72-hour kit. 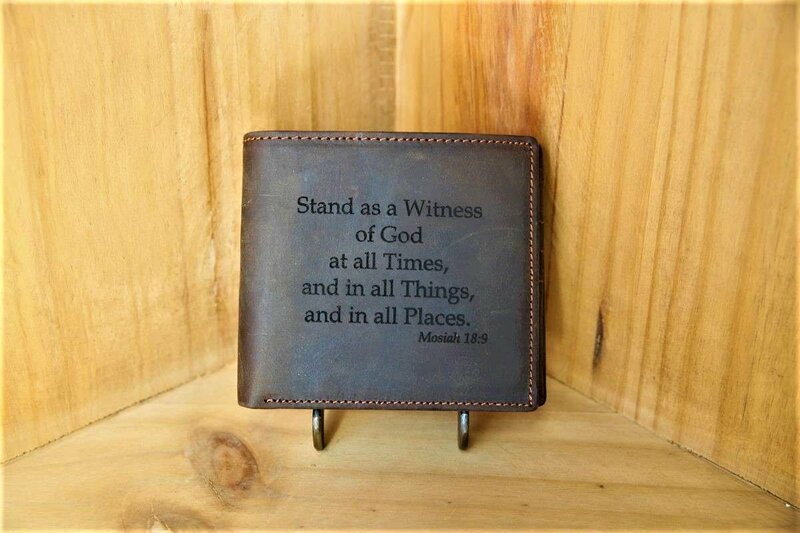 A customized leather wallet for only $29.99 is a steal! 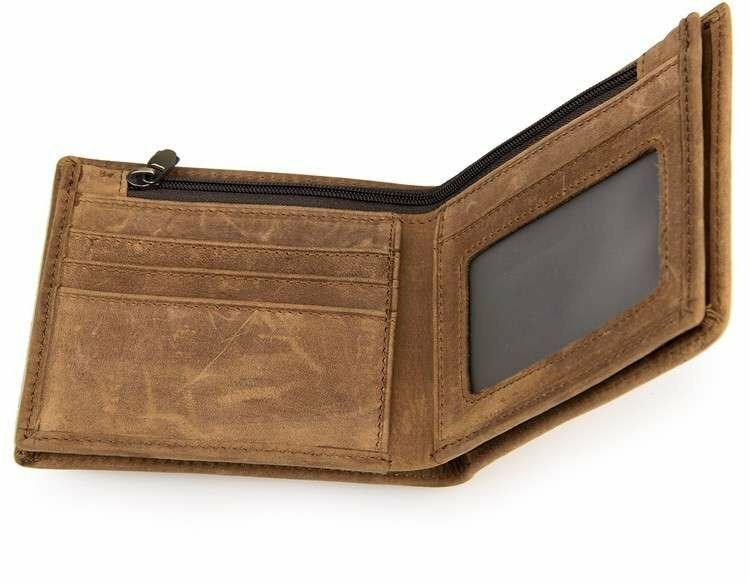 I ordered the temple outline wallet for my boyfriend for Christmas. 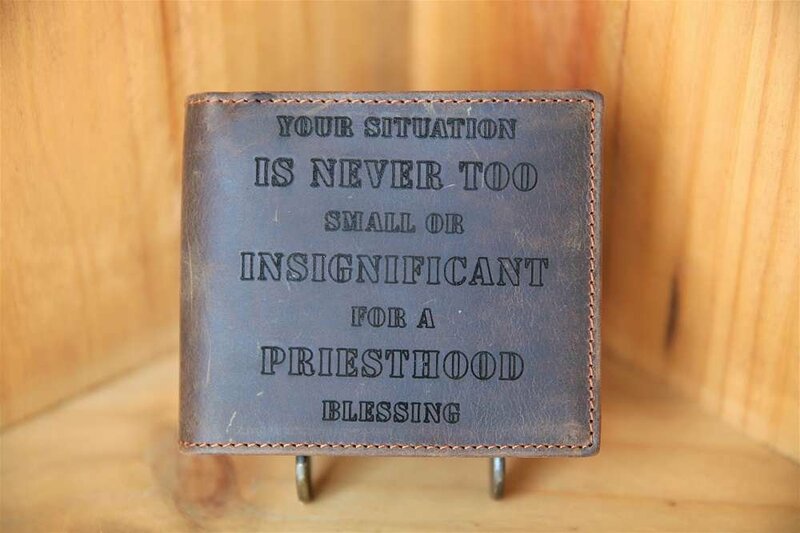 I wanted his temple and his endowment date on the front, and his name on the back. I have to admit, there was some nail-biting for a few weeks while I wondered if Oil Vault would understand my instructions. Not to mention, there was a delay in shipping due to a large number of orders during that time. But I should've relaxed because despite the delay, they still got it to him on time, and the customization was exactly what I wanted. I'm very grateful! And he loved it! 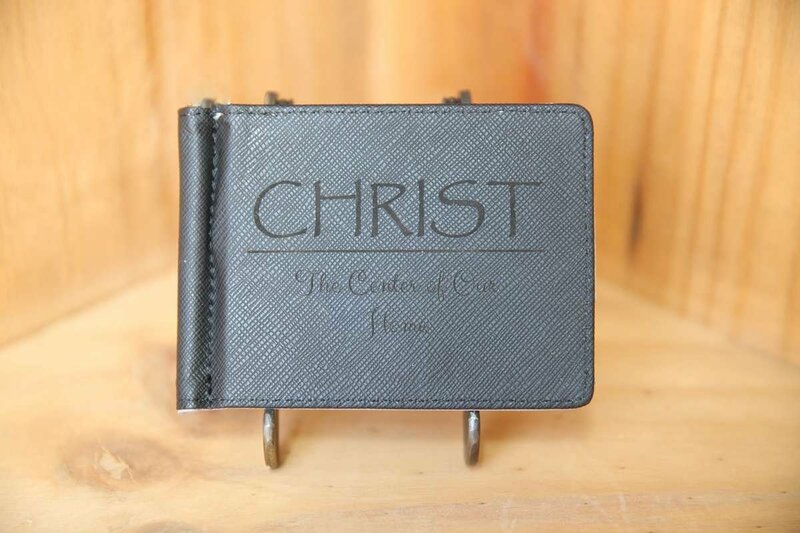 I didn't get to see it in person, but he said it's a high quality wallet that holds quite a bit. He showed me pictures and raved about it. This is a perfect gift if you're looking for something that's both practical and sentimental. Highly recommend. I purchased a wallet for my son for his upcoming birthday. Unfortunately, I didn't get to personally see it as I had it mailed to his home in another state, but I know that he will love it. I like the fact that you can have it personalized, which is what I did for him. I was also impressed with the customer service that I received. Thank you for a wonderful product! I love my new wallet. It's a well made product and looks great. It is very wide but it fits in my pocket fine. The oil vaults it comes with are amazingly useful too. I received an email from company saying to email with any questions after my order was placed. I was impressed and next time will even personalize the wallet now that i know... my husband thought it was a great gift after I had ruined his previous wallet in the washing machine. Would recommend and purchase from again!